During its first five years of operation, The Kraft Center was based at Partners HealthCare where it successfully focused on developing a new generation of physician and nurse leaders committed to careers in community health in partnership with the Mass League of Community Health Centers. While at Partners, Dr. Derri Shtasel served as the first Executive Director and Harriet Tolpin, PhD served as Curriculum Director. 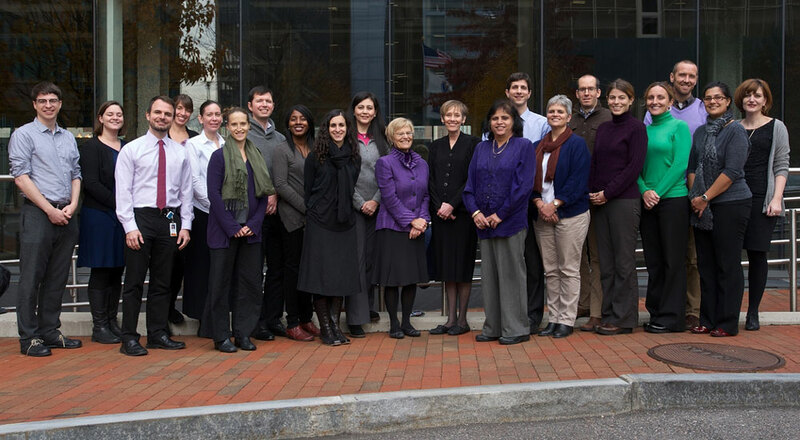 The Kraft Center graduated 75 clinician leaders (15 fellows and 60 practitioners), and partnered with 27 community health centers across the Commonwealth of Massachusetts. These community health centers provided the opportunity for Kraft Center trainees to serve on the front lines of addressing health disparities and access to care. Among The Kraft Center’s highest priorities in its first five years was supporting health centers in developing leaders with strong expertise in substance use disorders and mental health. In 2015, Pamela and Alan Trefler made a substantial donation to establish the Trefler Program for Cancer Equity at The Kraft Center. The Trefler Program supports Kraft Center trainees working in the area of early detection and treatment of cancer among uniquely marginalized populations throughout Greater Boston. And, with critical support from the Boston Foundation, the Center launched the First 1,000 Days Program, in coordination with the Massachusetts General Hospital for Children, the MGH Chelsea Health Center, MGH Revere Health Care Center, and DotHouse Health. The First 1,000 Days Program, led by Elsie M. Taveras, MD, MPH, aims to improve the health and behavioral outcomes of families from pregnancy through age 2 by engaging providers from both clinical and community health services. Read more about the First Five Years of The Kraft Center here.